Reconciliation seems to be the only word that Adrian Mutu has on his mind at the moment as latest reports from Italy suggested that the trouble striker has apparently make an u-turn after going AWOL at his club earlier. 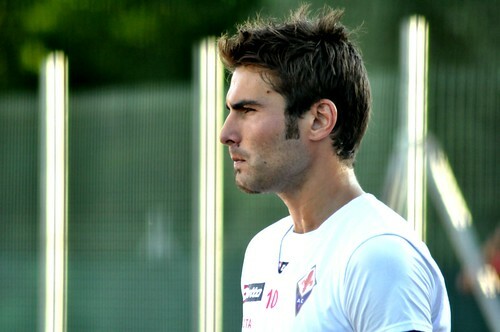 Mutu who steered up controversy earlier this month after leaving the training session and asking to be transferred has now asked for forgiveness from the Fiorentina board adding that he would like to stay at the club this time. The Romanian international has even stated that all of his wrongdoing in the last few weeks was mainly because he has been getting the wrong influence from his agent, whose already been sacked by the player recently. The former Parma striker admitted that what he has done to the club was wrong and has publicly asked for another chance for continuing his career at Fiorentina, that has already been hampered with his drug usage banning last season. I am sorry for this situation. I was wrong; I made a mistake walking out on my team, the Coach and the club before the game with Bologna. The fact is I was poorly advised by my former agent.” I am not here to cry, but to as always take responsibility and not hide from my actions after a difficult period. I want to stay here and I want to give Fiorentina a hand so that I can return to the playing field,” Mutu said in a press conference. This statement is surely a surprising twist that Mutu made after last week creating a fuss in the club saying that his AWOL action on training was the fault of the management’s action that isn’t allowing him to join Cesena. Because of his action in leaving the training ground, Mutu has been frozen by the Viola since January 5 and also received some poor reaction by his fellow teammates and coaching staffs who felt that the Romanian has made the whole club dissapointed. Considering his previous reaction, it would be interesting to see whether Mutu can be forgiven by the club that could threatened to froze him for the entire season because of the player’s earlier burst up. The fact that the club still aren’t willing to sell him, the Romanian is in danger of not playing football again for a long time which will definitely be painful considering he has just returned to the pitch after facing a suspension since the later part of last season.